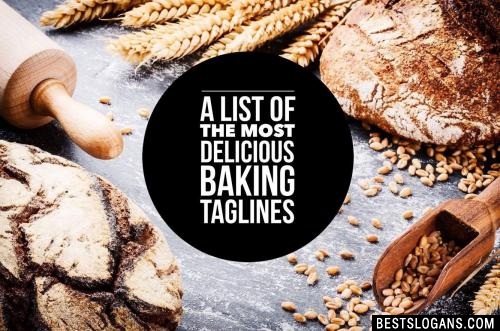 120 new entries added to bakery slogans, that include pictures. 1. Down-home goodness! Chocolate chips were invented after the chocolate chip cookie. Boston cream pies are actually cake. The Baked Alaska was actually created in New York City. 2 We meet your local kneads! 7 Here to bake your day! 10 The taste you have been looking for. 11 High quality and tasteful. 15 Come smell the goodness. 16 Our ovens are full of your favorite goodies. 17 Treat yourself to our down home sweets. 20 We got your bake. Can you think of a good Bakery Slogans we're missing? Or come up with a clever one of your own. Please share below.